Pets – Our park policy is non aggressive breeds only. We arrived here on November 1, 2015 and will be here until March 31, 2016. 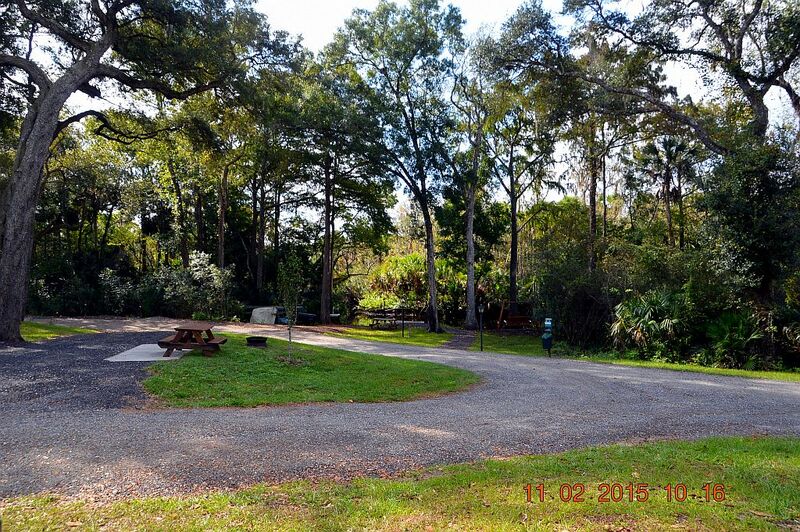 This is a wonderful small park on Pellicer Creek a short drive from St. Augustine and Palm Coast. This is a winter destination with most people spending the winter here so reservations are advisable. 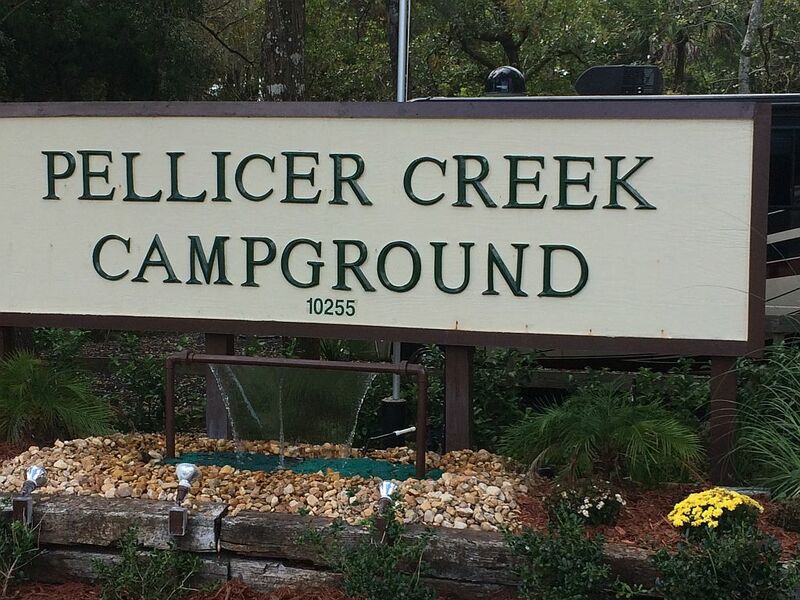 The owner and campground hosts, as well as other campers, have been fantastic. 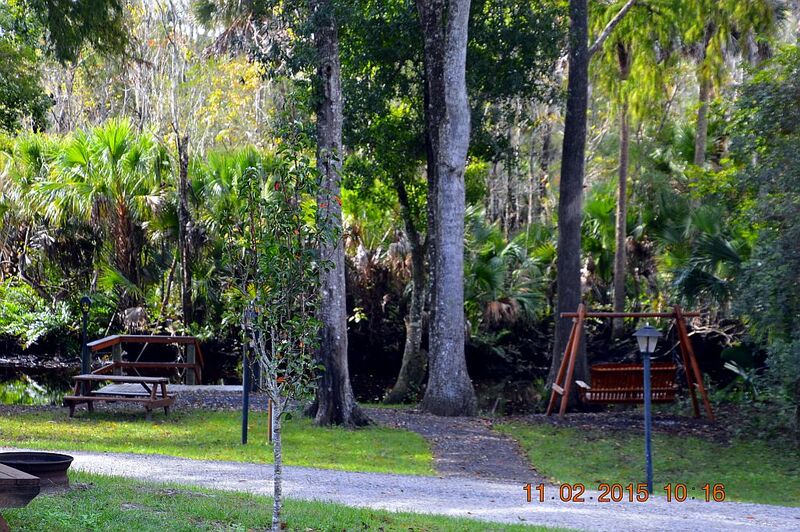 This is a small gated campground with security cameras which the campground hosts can view from their site. A small fishing dock is provided and I have seen many fish caught there. WiFi is excellent as is the provided DirecTV system - 169 channels and they provide they receiver. 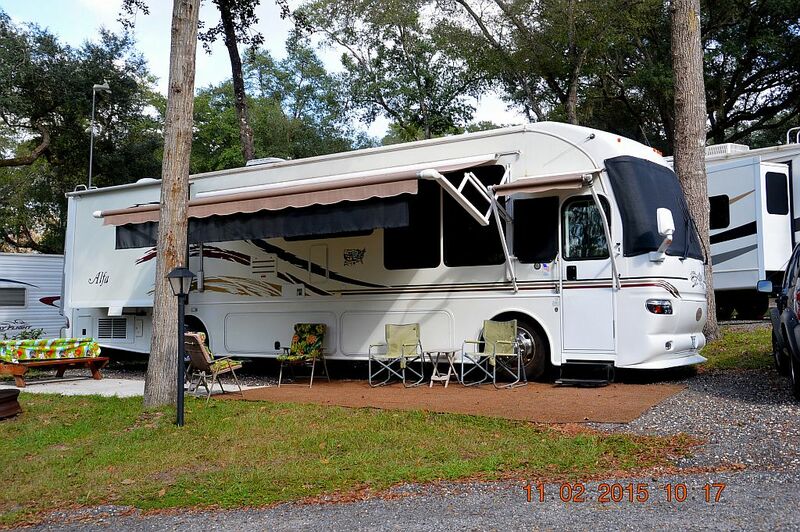 The pictures on their website are excellent representations of the campground appearance. Our GPS brought us right to the campground but Google Maps is incorrect. Use the following directions listed on the website.